Why do young adults play online games such as First Person Shooters? What are their motives? Gaming is seen as a way of developing relationships: old and new ones. Moreover, new contacts were people who would not normally socially interact. The reputation build during gaming rely on cooperation, generosity, reputation and ability to cooperate. Gamers can express themselves in ways they may not feel comfortable doing in real life. online gaming among these gamers was motivated by sociality, cooperation, communication, control, escapism, flow, experience, and as a hallucination of the real. It was done in Stockholm the capital city of Sweden in two online gaming centers. The games were Counter-Strike and World of Warcraft. Observations were conducted on 15 occasions from September 2006 to February 2007. 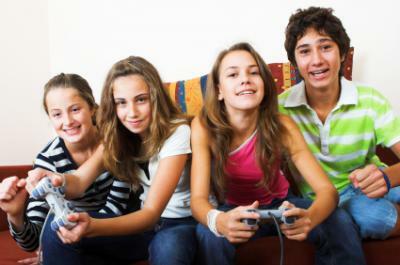 Twenty three online gamers (19 males, 4 females) ranging in age from 12 to 26 years old were observed and interviewed. Unstructured interviews and observations were conducted face to face and varied from 30 minute to almost 3 hours. Two thirds of the interviews were tape-recorded and transcribed verbatim. The implication of the study is that it extends previous research concerning the motivational aspects of online gaming. I love your site. I look forward to reading more of your posts. Thank you! This website was decidedly fantastic! Lots of good information and creativity, both of which we all need!